Roy Rogers, born Leonard Franklin Slye, 1911–1998, and Dale Evans, born Lucille Wood Smith (changed in infancy to Frances Octavia Smith), 1912–2001. American Western film stars and singers. 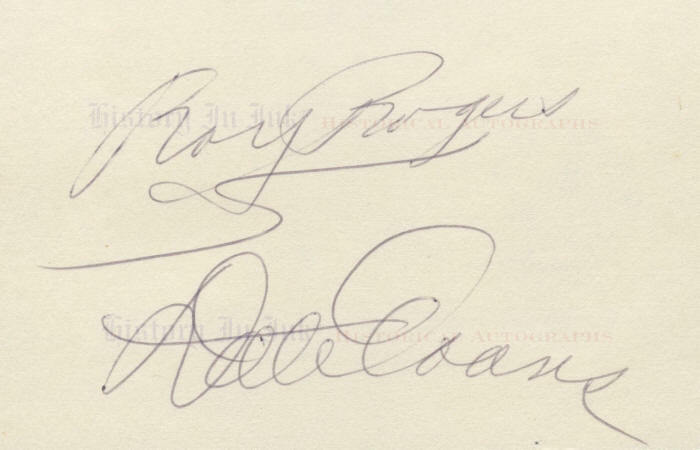 Signatures, Roy Rogers and Dale Evans, on a 3" x 5" card. Framed. 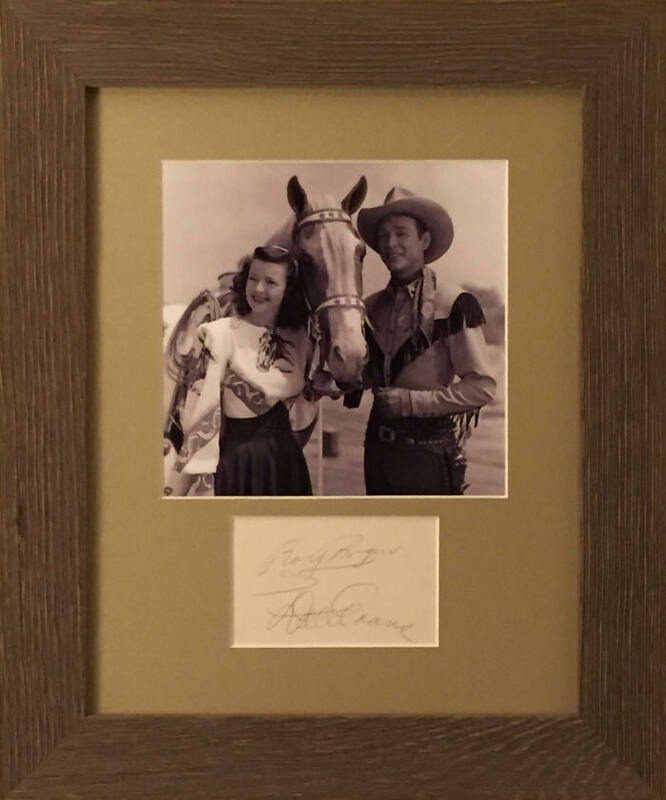 These very fine condition black ballpoint signatures of Rogers, the "King of the Cowboys,” and Evans are archivally framed with a publicity portrait of the two with Rogersʼs famous palomino horse, Trigger. Rogers was one of the most popular Western film stars of his era. He met Dale Evans in 1944, when she was cast in the film Home in Oklahoma, which starred Rogers and Trigger. After Rogersʼs wife Arline died of complications following the birth of Roy, Jr., in 1946, Rogers and Evans fell in love and were married on New Yearʼs Eve in 1947 at the Flying L Ranch, where Home In Oklahoma had been filmed. They were married more than 50 years, until Rogers died in 1998. Rogers, one of the original members of the Western singing group the Sons of the Pioneers, made his first film appearance in 1935. He starred in numerous Western films, a singing cowboy who competed in popularity with Gene Autry. He appeared in one of Autryʼs films under his real name, Leonard Slye, and later took the stage name “Roy Rogers,” which the staff of Republic Pictures suggested, when he was cast in the lead alongside Smiley Burnette in Under Western Stars (1938). He soon became a matinee idol and Western film legend, appearing in numerous leading roles as a character with his own name and in a supporting role in John Wayneʼs classic Dark Command (1940). He was the top earning Western star from 1943 to 1952. All together, Roy Rogers appeared in more than 100 films. He also appeared in numerous episodes of the syndicated radio program The Roy Rogers Show, which aired on more than 500 stations in the United States between 1944 and 1955, and in 100 television episodes of The Roy Rogers Show, which aired on NBC from 1951 to 1957. The television series starred Rogers as a ranch owner and Evans as the owner of the Eureka Cafe in fictional Mineral City. He rode Trigger, and she rode her buckskin horse Buttermilk. Evans, an accomplished singer and songwriter, wrote their theme song, “Happy Trails,” which they sang to sign off The Roy Rogers Show and the later, short-lived ABC production The Roy Rogers and Dale Evans Show. The Western Writers of America named the song one of the Top 100 Western songs of all time. Rogers and Evans were outspoken Christians. The parents of five adopted children between them, they were also noted advocates for adoption. The death of their only daughter, Robin, who died of complications from Down syndrome shortly before her second birthday, led Evans to write her best selling book Angel Unaware, which helped to change public perception of children with developmental disabilities. Evans wrote a number of other religious and inspirational books as well. Rogers has three stars—for motion pictures, television, and radio—on the Hollywood Walk of Fame. He was also elected twice to the Country Music Hall of Fame, once as a member of the Sons of the Pioneers and once as a soloist. Rogers and Evans are members of the Western Performers Hall of Fame at the National Cowboy & Western Heritage Museum in Oklahoma City, and she is also a member of the National Cowgirl Museum and Hall of Fame in Fort Worth, Texas. These signatures are in very fine condition.  A small rough spot on the back of the card from prior mounting, which cannot be seen in the framed piece, is the only thing that keeps us from grading them extra fine. The signatures are matted in gold linen and are archivally framed in a Western-style rough wood frame.